Information: Number 11 printed in either black or red. 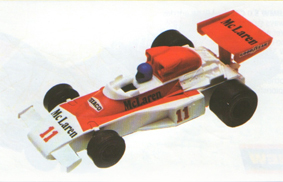 Make Details: McLaren are manufacturers of sports and racing cars based out of Surrey, England. 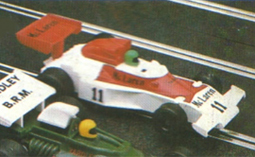 Model Details: The M23 won sixteen Grand Prixs over five seasons winning the World Constructors Championship in 1974.